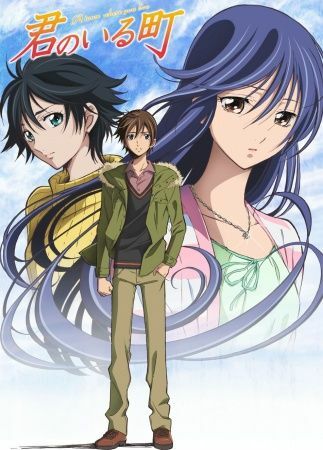 Kimi no Iru Machi begins some time later, after Haruto moves to Tokyo to live with his sister, in order to pursue a career as a cook. In reality though he wishes to be with Yuzuki. Things don't start good though. When he arrives he is mistaken for a burglar and attacked by his sister's neighbour Mishima Asuka. After the misunderstanding is cleared his feelings begin to waver though. Is Eba, who keeps avoiding him for seemingly no reason, the one for him or is it Asuka?